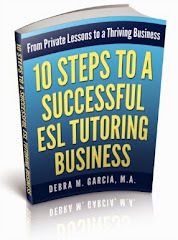 I've just sent out Volume 2 to subscribers of my ezine, ESL Teaching Tips. Volume 2 has "Cheat Sheets" for all verb tenses. Teachers and tutors can use them as reminders for themselves and also as handouts for their more advanced students. If you haven't yet signed up for my ezine, you can do so on my ESL Teaching Tips sign-up page. 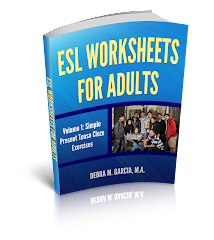 When you sign up, you'll get a free ebook with 27 worksheets for the Simple Present Tense.